Vifa Helsinki review | What Hi-Fi? At a glance, you might mistake the Vifa Helsinki for a small clutch bag or a woolly purse rather than a wireless speaker, something that might belong in a fashion shoot rather than a hi-fi testing room. But Vifa hasn’t settled for style over substance – beneath the furry fabric is a product with some solid sound quality. The Helsinki will receive your music in two ways: through its 3.5mm input jack on the back, or via aptX Bluetooth. Apart from volume controls, there is only one other button, located on the side, which toggles between the inputs. Press until it flashes blue to pair it to Bluetooth devices, or hold your NFC-compatible device near the volume buttons. Vifa claims the Helsinki’s lithium ion battery lasts for eight hours, and takes around three to four hours to reach full charge. Vifa takes pride in the design of the Helsinki, and it certainly cuts a bit of a dash. The wool has been woven by Danish textile designer Kvadrat, and comes in a range of four romantically named colours: Willow Green, Misty Blue, Dusty Rose and Sandstone Grey. The Helsinki isn’t particularly heavy to carry – at 1.4kg it weighs about the same as a litre-and-a-half of water (or, incidentally, a human brain). The body is made of a single molded piece of aluminium to avoid any assembly markings or frail areas, and the leather strap aims for a mix of comfort and style. There’s no mistaking the aesthetic aspirations of this portable wireless speaker. Not only does the Helsinki look good, it sounds good too. Whenever a speaker invites you to take it out into the real world, it’s at least got to be loud. The Helsinki clears that bar with gusto, managing to hit high volumes without become harsh or shouty. It’s also got a good amount of bass weight behind it, so if you’re looking for something to play high-energy songs at a modest midnight forest rave, the Helsinki is a good choice. The low frequency drums in Taylor Swift’s Shake It Off have a surprising amount of force for such a little speaker. Its midrange is relatively insightful too, both with Swift’s processed lyrics in the middle of the song that encourage you to get down to “this sick beat” and the clear vocalisations that follow. It won't beat the Dali Katch for detail retrieval any time soon, but there’s certainly enough there to make you take note. Pushing the treble with Eels’ Losing Streak, the high-pitched piano chirping along throughout the track remains uplifting and airy - without verging on bright or inpinging on Mark Oliver Everett’s vocals. The Helsinki has a nicely judged tonal balance, so you should never feel one element of your music is obstructing another. But while this wireless speaker is all too ready to roar, it doesn’t quite have the level of quality in its dynamic expression we’d like. We switch to The Pretender by Foo Fighters and, while the Helsinki can manage the more obvious changes between the soft vocals and blasts of electric guitar, there’s a level of subtlety in the performance that’s missing when compared with the class leaders. Similarly, the Helsinki would benefit from being a little more agile – the quick tempo of Losing Streak isn’t as articulate as it could be, and falls short of fully conveying the song's breezy momentum. 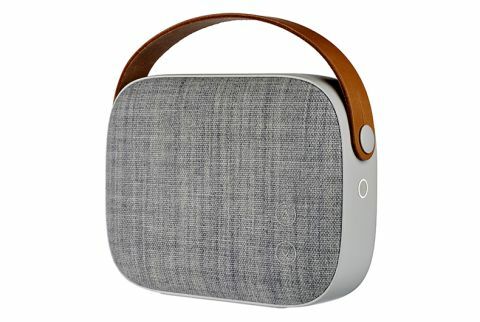 Overall, this portable wireless speaker sits in the middle of that Venn diagram where style and sound quality intersect. It’s weighty and loud without being brash, and will comfortably handle your music. If your listening needs some of that Scandinavian je ne sais quoi (or, as they say in Denmark, en vis noget) then the Vifa Helsinki will keep you content.